Fresh from deciding on the Dystopian Wars forces to purchase, and waiting patiently for their arrival, I was getting myself into an Aeronef; Steampunk; Victorian Science Fiction mood. Reading around and in particular about the airships of the early 20th century I came across a little aircraft I had almost forgotten. The Curtiss F9C Sparrowhawk. This was an aircraft designed to operate with airships and the one shown to the left is one of the aircraft that was carried by the USS Macon and of the same type as those carried by the USS Akron, two US Airships. 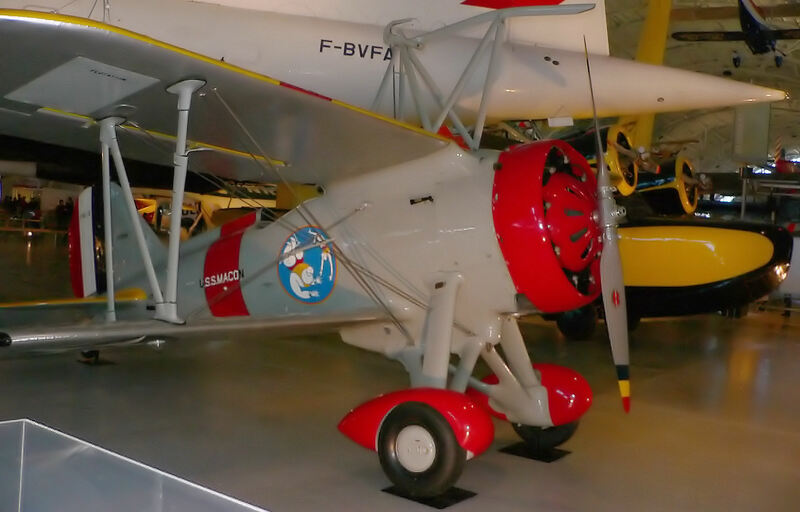 The plane itself was a light biplane fighter aircraft. The Steampunkness of the Sparrowhawk is partly because it was a “parasite fighter”, a small plane which has been designed to be deployed from a larger aircraft such as an airship or bomber. It was a small aircraft and was therefore the perfect fighter to be carried by an airship – see where I am heading with this? The historical Sparrowhawk was armed but was primarily used for reconnaissance. The US Airships carried three or four of them. Launching and recovery was by a hook/anchor, known at the time as the “flying trapeze”. The hook was mounted on the Sparrowhawk’s top wing and attached to the cross-bar of the trapeze. So, you can see why I like this aircraft. I also particularly like the colour scheme shown in the picture and part of the painting research for the Dystopian Wars is now, I think, complete. Previous Article Superstitious? Me? Well, maybe!